38th-annual Wild Arts Festival features nature-inspired art, books. It takes place Nov. 17 and 18 at Montgomery Park in Portland. The Audubon Society of Portland will hold its annual Wild Arts Festival Nov. 17-18 at Montgomery Park in Portland. This is the Northwest's premier show and sale of nature-related art and books benefitting the Audubon Society of Portland. This marks the 38th-annual event, scheduled just in time to kick-start the holiday shopping season. 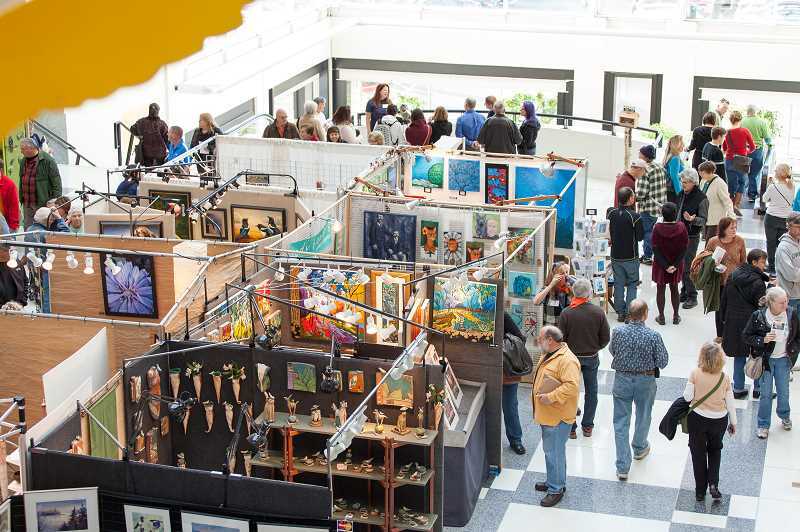 Presented by Backyard Bird Shop, the Wild Arts Festival includes 65 artists, including jewelry designers, painters, printmakers and sculptors, plus glass, wood, fiber art and ceramic artists. 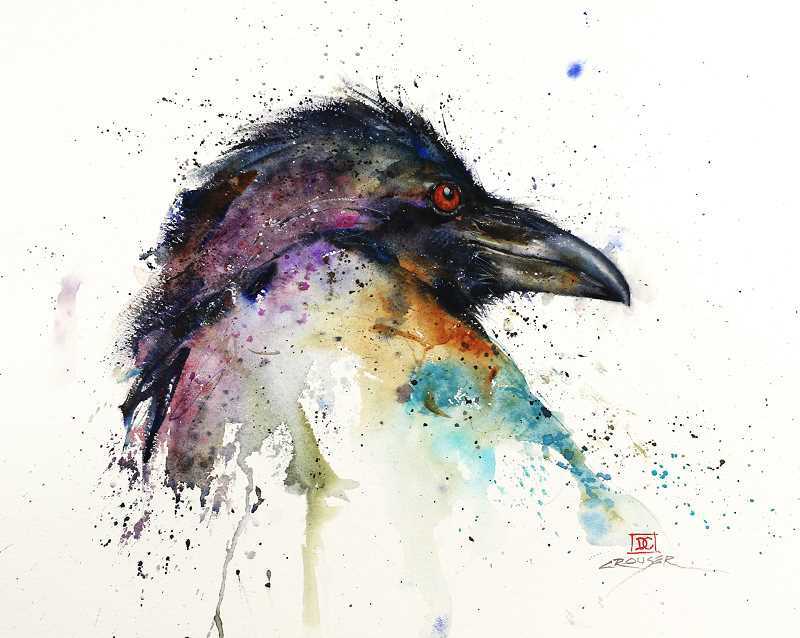 Although the artists may work in different media they all celebrate the natural world by featuring nature or wildlife as a subject and natural materials as their medium, or create art promoting environmental sustainability. In addition, 38 Northwest authors are scheduled to autograph books and chat with festival attendees during the festival. Featured authors include Kim Stafford, Oregon Poet Laureate, who will sign books on Sunday; and Sally Tisdale, a Portland author who has written for Harper's and The New Yorker and has published eight books. She will be signing books on Saturday. Robert Michael Pyle will also be there with two new books. The Audubon Society's Education Birds will be onsite throughout the event to give children and adults an up-close look at these wildlife ambassadors. The popular 6x6 Wild Arts Project lets 200 local artists paint a bird theme on a donated 6-inch-by-6-inch canvas. The artists donate their work, creating art pieces that sell for $45 each. Festival attendeees know to line up early to get first dibs on this exhibit. Guests can also enjoy Saturday Happy Hour from 3-6 p.m. Wine, beer and light fare will be available for purchase. Guests can enjoy live entertainment from the Latin-influenced combo Oleada from 4-6 p.m. The rest of the weekend, attendees can enjoy fare from Elephants Delicatessen onsite. Tickets are available for purchase at WildArtsFestival.org or at the door. Tickets are $8 each; kids under age 14 get in free. Montgomery Park is located at 2701 N.W. Vaughn in Portland. Last year, this event raised more than $200,000 for Audubon Society of Portland's initiatives to promote the understanding, enjoyment and protection of native birds, other wildlife and their habitats.